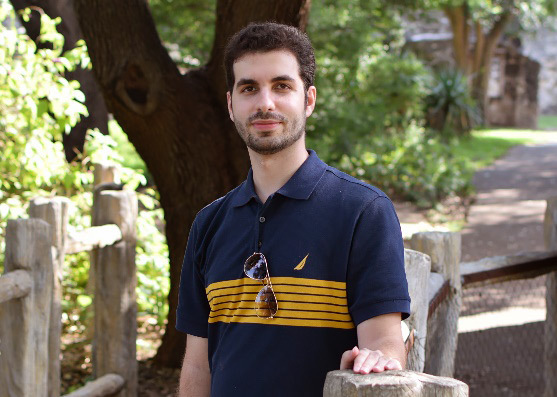 Amir Souri, a recent University of Houston Ph.D. graduate in atmospheric sciences, was offered a position as an atmospheric physicist at the Harvard-Smithsonian Center of Astrophysics, a noted center for remote sensing science. He will work on data and retrieval for TEMPO, an upcoming geostationary satellite for air quality applications planned to launch in 2019. “My long-standing research goal has been to understand the Earth's atmosphere and the interactions between human activities, climate and environmental pollution,” Souri said. His career in atmospheric sciences began in 2011 with a master’s program in remote sensing at the University of Tehran. Next, he took several courses that were essential to understanding the planet, from modeling Earth’s processes to observing several atmospheric and terrestrial properties from space. All of the courses addressed the difficulty of modeling the complex system that is Earth’s atmosphere. His background in remote sensing paved the way for him to pursue a Ph.D. in atmospheric sciences at UH’s Department of Earth & Atmospheric Sciences. He entered the program in 2015. While at UH, he was part of Dr. Yunsoo Choi’s atmospheric chemistry modeling group. “I was involved in many state and international projects to understand the impact of air pollution on climate and human life,” Souri said. Throughout his Ph.D., he pursued research on a range of diverse topics. “In general, my research is centered on four main elements: atmospheric modeling, remote sensing, inverse modeling and data analysis. The study of air pollution has been of interest since it is by far the biggest contributor to early death,” Souri said. Siting new research produced by The Lancet Commission on Pollution and Health, Souri pointed out that this form of pollution was responsible for 6.5 million fatalities (10–15 percent in the U.S.) in 2015. “Having a wonderful mentor and a desire to gain knowledge helped me publish more than 14 peer-reviewed papers recognized in the field through notable citations,” Souri said. Most of his studies addressed air pollution issues in the U.S., Texas, or the Houston-Galveston-Brazoria areas.